Now with 40% more Cosmic Horror! You and your team of monster-slaying Hunters plumbed the depths of Yharnam and faced the nightmarish beasts that lie below. 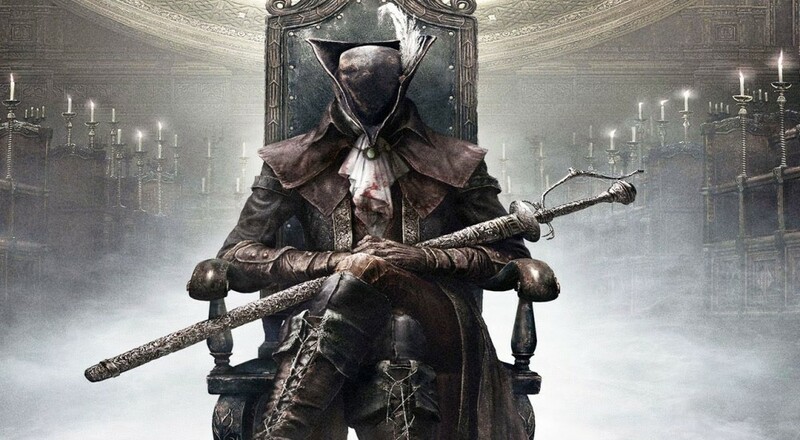 You've bested Bloodborne, and fired your trusty side arm wildly into the air in celebration. But before you smash your disc into a trillion pieces, as tradition demands for defeated games, maybe cast your gaze to "The Old Hunters," the first (and only) DLC/expansion for Bloodborne, out now. A free nine gig patch paved the way for the "The Old Hunters" last week, and now you can finally plunge into the Hunter's Nightmare to face the fallen heroes of yore. Check out the trailer. The Souls games always feature a gnarly cast of hideous enemies, but something about the raw, cosmic horror design of Bloodborne's particular baddies is truly unsettling. Good to see they spared no expense in the Horrifying Creature Department for "The Old Hunters." That screaming dude in the trailer there, Ludwig, might be one of the most grotesque designs for an enemy in gaming. "The Old Hunters" adds a slew of fun stuff to uncover, as well as tweaking Chalice Dungeons, brand new areas, crazy new weapons, and plenty of challenging beasties along the way. You can even drag two friends into the nightmare of the past with you the whole way. We liked Bloodborne a lot when it launched earlier this year. With Dark Souls 3 not due until late March, maybe this extra bout of challenging, pessimistic gaming can tide you over.